Like the original Darksiders game before it, the second iteration of the series is primarily a hack ‘n slash adventure. The game takes place across netherworld environments, including “The White city,” an outpost where angels live, and “The Eternal Throne,” a floating fortress where the Lords of the Dead stand guard over souls that need to be cleansed. Although Death is the most feared of the Four Horsemen, his physical abilities are very different than his brother, War. Death is far more nimble, and relies on a combination of melee and ranged attacks. In combat Death’s primary weapon is his huge iconic scythe, with a wide range of other weapons and usable items that must be gathered as the game progresses. Weapons can be dual-wielded, upgradable armor can be acquired for protection and Death has access to his terrifying and powerful mount, Despair. 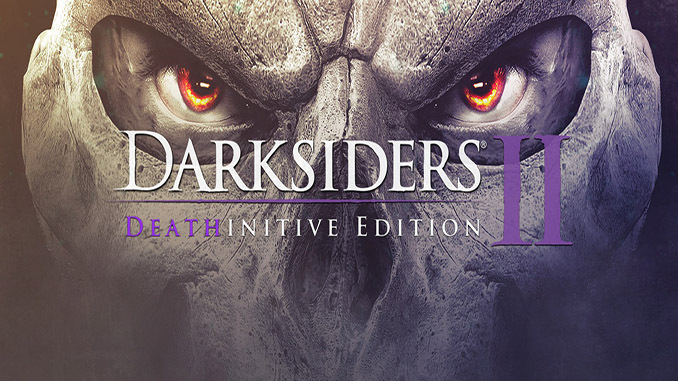 Darksiders 2 with All DLCs included and integrated into the game, offering a total playtime of more than 30 hours (Maker Armor Set, The Abyssal Forge, The Demon Lord Belial, Death Rides, Angel of Death, Deadly Despair, Shadow of Death, Mortis Pack, Rusanov’s Axe, Van Der Schmash Hammer, Fletcher’s Crow Hammer, Mace Maximus, Argul’s Tomb). crashes constantly at Tri stone area cant find a fix for it at the moment. Have you installed the patch that we included in the More INFO tab? Is there a link to the Skidrow patch? This version of DS2 runs, but all of the onscreen button instructions show up as black boxes. I know most controls by heart, but the combos and new moves are too much to try abd remember. Hello man, i cant play the game. Withouth the path update the game crash me when I broke the gate with bombs to go FJORD. Have you installed the patch in the More Info tab?